Joseph Naphtaly was born in Prussia in 1842. His early education was in the Gymnasium of Berlin. In 1855, at the age of 13, Joseph Naphtaly came to San Francisco, where he attended public schools. He later received a law degree from Yale University in Connecticut. He returned to San Francisco to begin his practice. The law firm of Naphtaly, Freidenrich & Ackerman became one of the biggest and best known in the state. Joseph Naphtaly was a lawyer par excellence and enjoyed a lucrative practice. That he shared his prosperity with those less favored by fortune is known to a host of people. He was generous almost to a fault and it was often suspected that his good-heartedness got the better of his judgment. Joseph Naphtaly began his San Francisco legal career working in the County Clerk’s Office. He served in the California State Assembly and, in 1869, was Chairman of the Judiciary Committee. Joseph Naphtaly served for many years as a director of Congregation Emanu-El. He was also a director of the Pacific Hebrew Orphan Asylum. 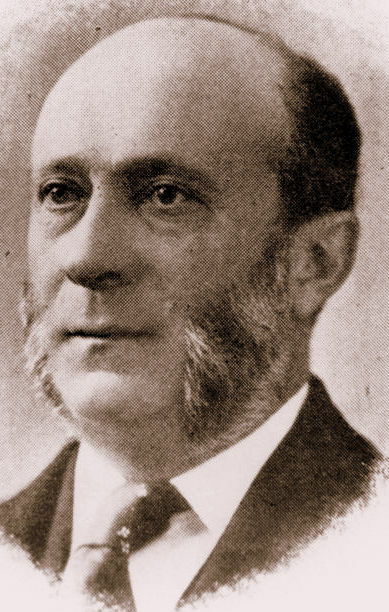 He served as vice-president of the First Hebrew Benevolent Society. Additionally, he was a member of the International Order of B’nai B’rith. Joseph Naphtaly was a Mason in high standing and an Odd Fellow. Joseph Naphtaly married Sarah Schmitt in 1869. They had 2 children: Mrs. L. B. Feigenbaum and Samuel L. Naphtaly. Joseph Naphtaly died in 1910. David Epstein is curator of this Joseph Nephtaly exhibit. Commendable Conduct—At the instance of Rev. Dr. [Aron J.] Messing, the Congregation Sherith Israel have decided to permit the performance of the marriage ceremony for those who cannot afford to pay the assessment hitherto levied by congregations in addition to the fee paid the minister performing the service. Dr. Messing desires us to state that he will always willingly perform the marriage ceremony free of charge, where the inability exists to pay therefor. This laudable action will do away with the practice heretofore existing of allowing every “so-called Jewish rabbi” to perform the nuptial act. Simon Greenwald: Early Jewish Pioneer & Founder of the Alaska Commercial Co.